Very healthy & tasty Indian bread ' Bhakri ' !! 1. Add the water in a pan & turn on the gas. Let the water boil. 2. Mix all the flours & salt in a bowl. 3. Add boiling water on the flour mixture. Cover the bowl & let it sit for 2-3 minutes. 4. After 2-3 minutes knead the mixture thoroughly. Divide the dough in equal parts. This measurement yields about 6 medium size bhakris. 5. In a big plate or preferably parat prepare bhakri. 6. 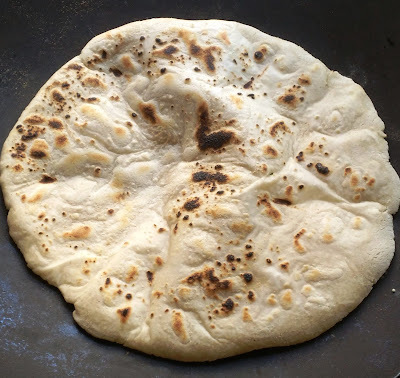 On a non stick pan or tava roast the bhakri. You can prepare the bhakri using only one of the ata or any combination as you like. Here in the picture above I have prepared the bhakri using jowar ata only. Enjoy the tasty hot & healty bhakri with any subji. Please click on the link below for the video recipe of bhakri. 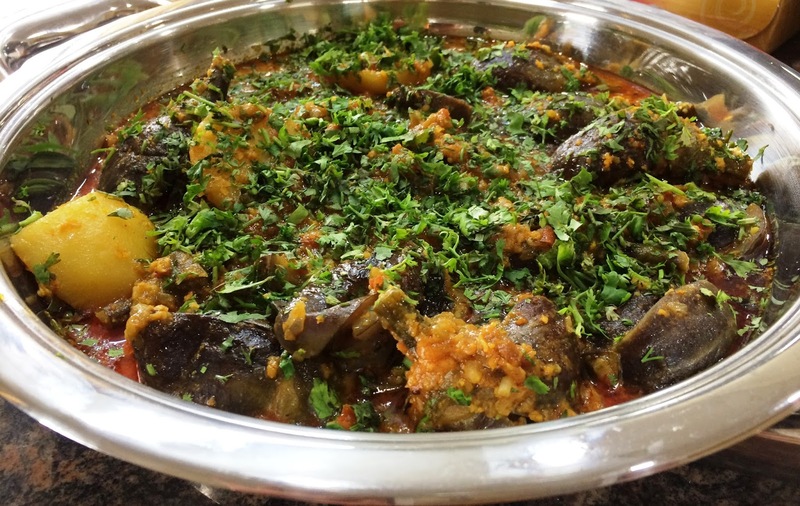 Delicious home made Veg Makhanwala !! 1. In a heavy bottom pan add 1 tsp of ghee or butter. Add cumin seeds, tej patta, green elaychi. Then add garlic cloves, onion & tomato. Saute for 2 minutes. Keep aside in a bowl & let it cool. 2. Boil all the vegetables to soft except green pepper. Do not overcook. 3. Drain water from the vegetables.. Add 3 tsp ghee or butter in the same pan saute green pepper then add all the veges. 4. Remove tej patta & grind remaining masala with onion,garlic & tomato to a smooth paste. 5. Add this paste to vegetables.Add red chilli powder, turmeric powder & garam masala. Add salt & sugar. 6. Add little water. Mix properly. 7. Add paneer cubes & kasoori methi. 8. Simmer for 2 minutes. 9. Add cream & turn off the gas stove. save some cream for garnishing. 10. Garnish with handful of coriander & cream. 11. Serve with hot phulkas, nan or paratha !!! 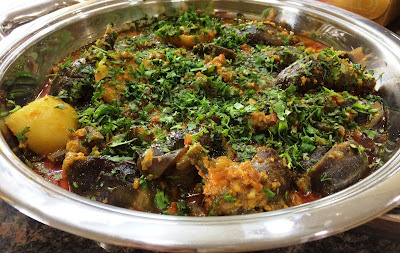 Very tasty mouth watering Maharashtrian recipe !! Chopped handful coriander for garnishing. 1. Dry roast dry coconut, onion & garlic cloves for 2 minutes. Grind to coarse paste. Add oil in a heavy bottom pan or kadhai. 3. Add the above paste & green chilli . Add fresh coconut Saute for 2-3 minutes or till mixture turns to brown or till nice aroma. 4. Add water & Stir the mixture properly. Add red chilli powder, goda masala & garam masala. 5. Meanwhile give 4 slits to baigans. It should not be cut into 4 pieces. Add baigans & mix & add little water if required & cover the pan till it becomes soft. 7. Add boiled potatos. Add salt & jaggery. Add peanut powder. 8. Mix properly & cover the pan & let it cook for some time. Add water if required. 1. Add Rajgira, sabudana flour, peanut powder,salt, sugar,baking powder & baking soda . Mix all dry ingredients. 2.Add desi ghee & yogurt. Mix all the ingredients properly. 3. Do not over knead the dough. It should be little lose & soft. Add more yogurt if required. 4. Prepare the cookies as per shape you desire. Sprinkle some rajgira lahi on the cookies. 5. Bake the cookies in preheated oven at 170 C for 15-20 minutes or till it turns light brown. 6. Adjust the temperature as per your oven. Above measurement yields about 15 medium sized biscuits. You can eat these cookies for fast also. 2. Soak Urad dal , Chana Dal 4-5 hours. 3. Drain the water. But do not throw it. Use little water for grinding. 7. Add salt as per taste & mix batter gently. Add all vegetables, chopped ginger & chilli, ground pepper & mix well. 8. Keep appe pan on gas stove. Add little oil in all cavities. Drop spoonful of batter in every cavity, cover it & cook till golden colour. Flip it & cook other side also. Enjoy with chutney or tomato ketchup. Handful coriander, 1/2 cup fresh grated coconut, ginger, green chilli, lemon juice, 1/2 tsp jeera,salt & sugar as per taste. Grind all ingredients smooth & chutney is ready ! !